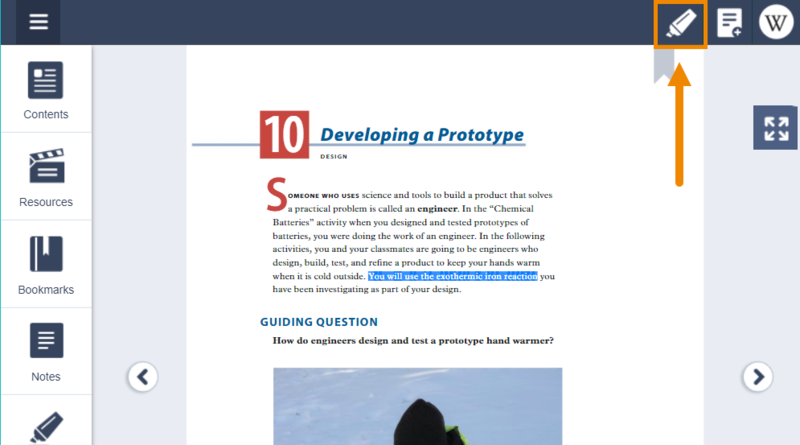 How do I add highlights to my book? 1. Highlight text you wish to highlight. 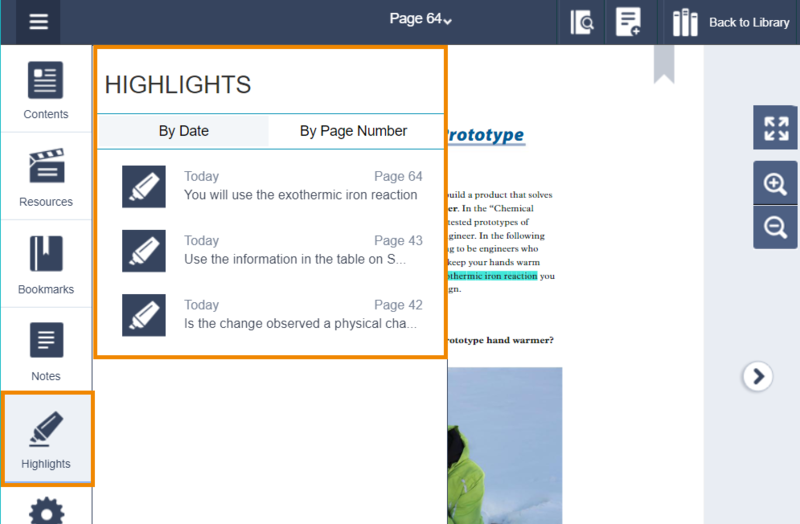 Then, the highlighter icon will appear in the top right of the page. 2. 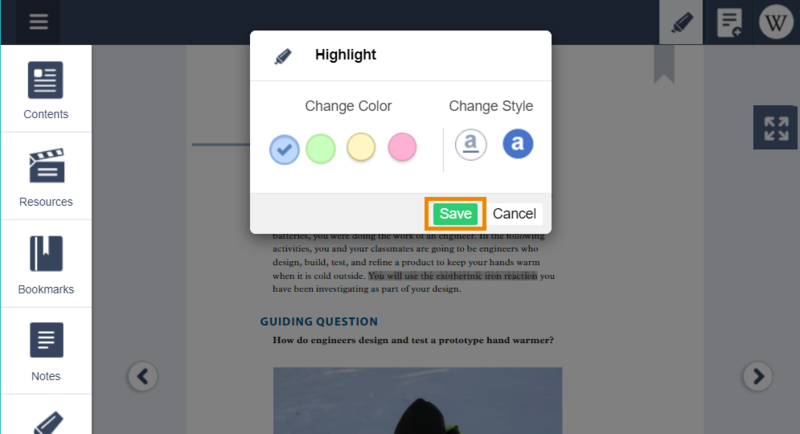 Click the highlight icon to choose a highlight color and save. 3. View all highlights by clicking on the "Highlights" option on the left menu bar. You can sort highlights by date entered or by page number.